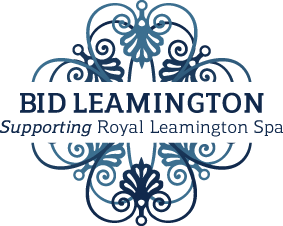 To further acknowledge Leamington’s vibrant night time economy, BID Leamington is actively supporting Warwick District Council’s objective to obtain Purple Flag Status for Royal Leamington Spa. Purple Flag is an accreditation scheme that recognises excellence in the management of town centres at night. Just as Blue Flag is an indicator of a good beach, Purple Flag is the indicator of where to go for a good night out. As such, for a town to be granted Purple Flag status it needs to meet specific standards. Royal Leamington Spa is working towards the stringent Purple Flag standards and has made excellent headway in the past few years. Most notably, BID Leamington advocated the introduction of Street Pastors and Marshals in the town centre. The marshals are funded by the University of Warwick and have provided a “friendly and reassuring presence” to the many students and locals who enjoy Leamington’s abundant night-life.